During their time together at Manchester University, Henry Ludlam and William Young were impressed by the diversity and abundance of nightlife available and decided to bring it back to their home city of Cambridge. Four years later, their company S&C Events has spawned its own small music festival in Cambridge and is on course to hit £250,000 revenue for 2016. Buoyed by this success, the boys have turned their attention to a new venture, TeamFirst: a fundraising app enabling teams, groups and charities to raise money by connecting their members and supporters with major global brands including Kurt Geiger, Domino’s, Boots and ASOS. The app – which came about when they needed to raise money to repair their broken rowing boat – allows users to redeem deals, earning TeamFirst a commission on top of revenue generated through advertising and partnerships. With impressive turnover projected for 2016, and with plans to close a seed round, as well as £120,000 from Ascension Ventures and £34,000 through the Wayra Accelerator just a year after launch, Ludlam and Young hope to build TeamFirst into a global brand and raise £1bn for good causes in the process. The entrepreneurs are also still directors of S&C and are looking into sponsorship opportunities for 2016, with a number of major partnerships already in the pipeline. Their ambition is to expand way beyond the borders of Cambridge and develop the company into a worldwide portfolio of festivals, concerts and corporate events. 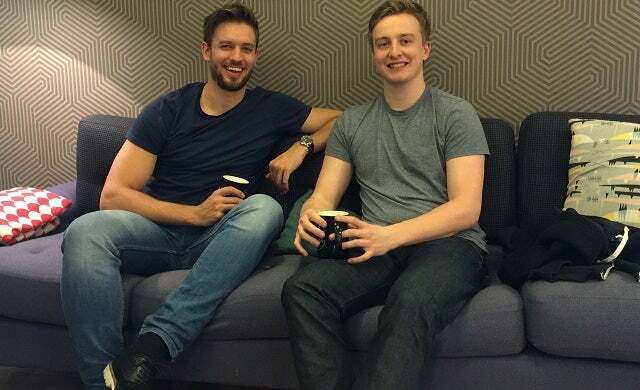 By 25, this enterprising young duo have already built two successful companies and have big ambitions for the future – we’ll certainly be keeping our eye on them.